Boy versus girls: Max has a little trouble with the ladies in this episode. Synopsis: Max has to rescue the prince of a Middle Eastern country from a trio of athletic Kaos agents bent on making the ruler lose weight. If Max fails and the prince doesn’t make his 300 pound goal, he loses his throne and the U.S. loses an oil supplier. Cocktails for two: Max tries to slip Mary a Mickey. Max is charged with keeping tabs on the well-fed Prince Sully of Ramat. The prince’s main concern is eating up because if he doesn’t make it to 300 lbs., another faction will take over his country – one that has already demonstrated that it’s unfriendly to the U.S. And, yep, Ramat’s oil supply to the U.S. will be cut off. 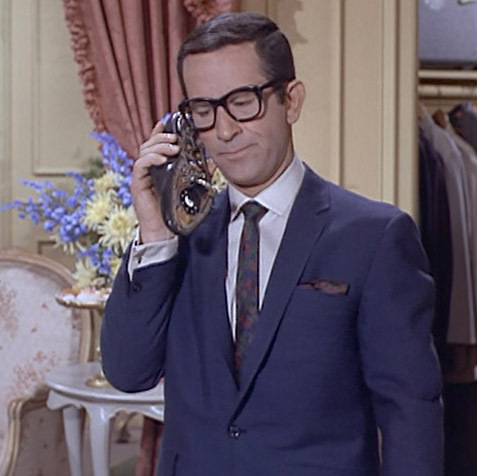 The episode opens with Max checking up on the prince, using the alias of a bespectacled oil exec named Bill Banford. There’s just one problem – the prince is abducted while Max is on the phone telling the Chief not to worry about how the mission is going. Max is left with 48 hours to find the prince so he can be fattened up – only he can’t remember anything significant about the abduction. Out of desperation – and probably because only he would think of this — Max submits himself to Control’s Grill Team. Apparently Control has two agents charged with slapping enemy spies until they talk. After taking enough of a beating that one the agents complains of his hand hurting, Max finally recalls how the maid was able to carry a refrigerator. 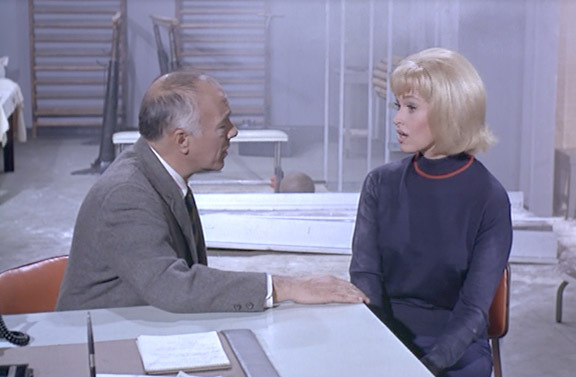 The Chief concludes that they are dealing with Mary Jack Armstrong – the world’s strongest female counterspy. The Chief goes on to warn Max about how dangerous Mary Jack is -only he leaves a detail or so out. Parker shows Max some new gadgets. Max, however, is more concerned about being knocked off the best dressed spies list. After a visit with Professor Parker, Max is outfitted with a handy homing device sewn into the shoulder of his jacket. He also gets a tie that serves as a flask and includes a spigot in the clasp. However, he’s not pleased that the pairing of a gray suit and an avocado tie will drop him out of the top 10 best dressed spy rankings. Picky, picky. 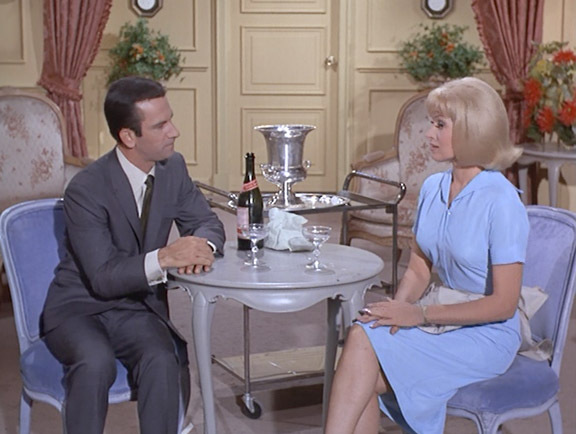 The episode’s humorous banter continues when Max goes back to the hotel to face off with Mary – she’s been expecting him. Initially he introduces himself as Bill Banford, president of the Ramid American Oil Company. The prince may have bought that, but Mary was not going to be played. Other used and mostly rejected aliases included: Fred Lamister, munitions supplier; Harry Schlerts, toy manufacturer and Mervin Gribbs, calling card manufacturer. After his attempt to get Mary to take truth serum backfires, Max wakes up shackled to a wall in Mary’s massage parlor and reducing salon on the top floor of the hotel. He finds he’s not alone: The prince is tied to an exercise bike and Mary’s assistants Rhonda and Carla have joined her. Max tries to signal Control via the homing device built into his jacket, however, Rhonda seems to find his shoulder slapping habit odd. Rhonda: There must be some reason why you keep doing this. Max: To tell you the truth, it’s kind of a nervous habit with me. Max slaps his shoulder, followed by Rhonda, again, slapping his shoulder. Max: Look, it’s my nervous habit, not yours. Rhonda tattles and Mary, having enough of Max’s behavior, instructs the girls to lock Max in the steam room. In a deft maneuver, Max manages to lock up the ladies instead. He then gets the upper-hand with Mary, thanks to the Old Finger in the Gun Trick. Mary joins her pals in the steam room, leaving Max a window to free the prince. Steam and steal doors, however, don’t hold super strong spies. Mary breaks free, gives a classic bad-guy speech and then attempts to chuck Max out the window. Thankfully, the Chief interrupts the proceedings. It’s then revealed that the Chief and Mary Jack once had… well.. a thing. Chief: How did a nice girl like you ever get involved in this rotten business? Mary: Well Thaddeus, it’s a living. Prince: They know each other? Max: That’s the wonderful thing about the espionage business. You make friendships that last forever. Prince Sully falls short of his goal, but it’s all good in the end. His citizens are happy with his weight loss and treat him as a matinee idol. For Max’s efforts on this mission, the prince sends him a belly dancer as a present. Due to Control’s no gift policy, the dancer was to be returned to Ramat. There is no 99 in this episode, but we get by. Survival of the Fattest is actually a nice recovery from the previous insipid episode. 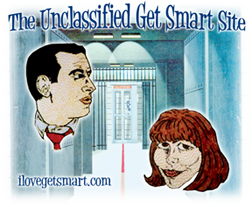 This episode offers a good example of Don Adams’ storied timing skills. Thanks to that, what we end up with is something of a Christmas stocking of great comedic bits. Added bonus: We get a glimpse into the Chief’s past. Max really takes a beating in this episode. Watch for: The Grill Team scene, Max and Mary playing the old “drug the drink” game, the shoulder slapping bit and that nice little reunion between the Chief and Mary. This is the first episode featuring Professor Parker. Land of a thousand aliases: Max tries the old "They Won't Guess it's Me if I Wear Glasses Trick." • The episode title is a reference to “Survival of the Fittest,” a phrase coined by English philosopher Herbert Spencer after reading Charles Darwin’s On the Origin of Species. • Appearing in a number of TV series throughout the 50s and 60s, Karen Steele was one of Mudd’s Women in the Star Trek episode of the same name. 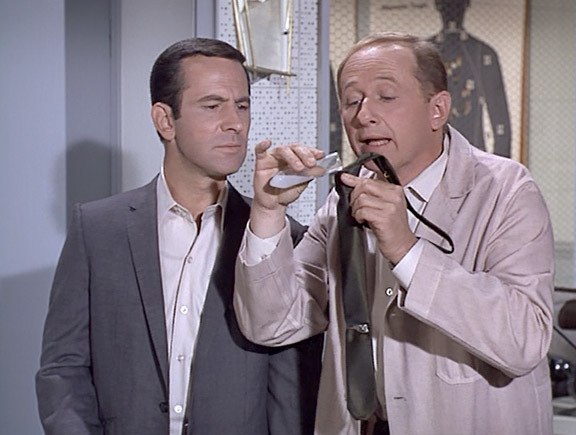 • In addition to a regular part on Get Smart, Milton Selzer had quite the TV and film resume. It would probably be easier to list what TV shows he didn’t appear in. 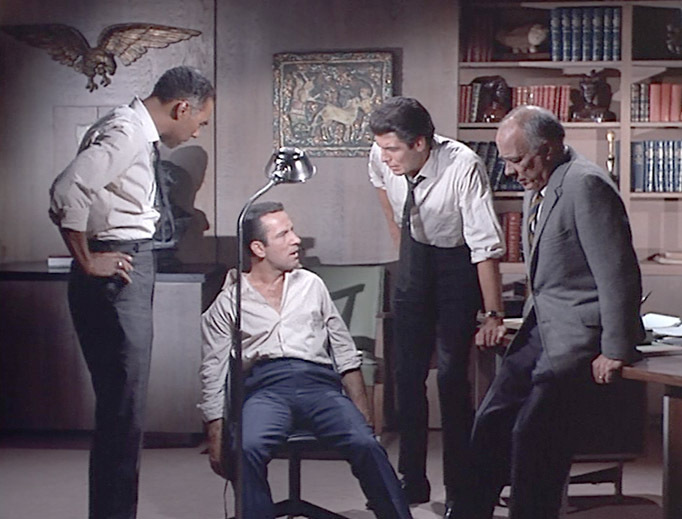 I will note that he appeared in a handful of Mission Impossible episodes, including one, “Cocaine,” which Get Smart alum King Moody also had a part in. For what it’s worth, this episode was directed by Reza Badiyi, who directed a good number of GS episodes. This particular episode’s main guest star was William Shatner. But I digress. • Dan Seymour appeared in numerous TV shows and movies, including Key Largo and Casablanca. • Tanya Lemani primarily played belly dancers in TV and film. She appeared in an episode of Star Trek and I Dream of Jeannie. Glick meter: Save Max’s apologetics in the opening scene, this episode largely dispenses with nasal catchphrases. 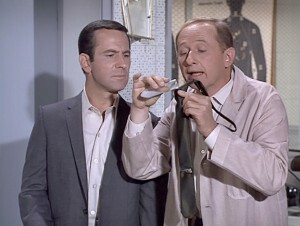 Instead we get something better: Don Adams’ excellent comedic timing. Oh Max meter: No 99 in this one, folks. However, she need not worry about Mary Jack and her cohorts – Max didn’t seem too impressed with them. The belly dancer that appeared at the end of the episode, however, would have earned him a solid eye roll and possibly the stink eye. Control Agents: Professor Parker, Agent 1, Agent 2 and Larabee who appears in the mop up crew, although he’s not credited. Episode Locations: Control HQ, the hotel where the prince is staying and where Mary Jack has her massage parlor and reducing salon. Love and war: The Chief and Mary Jack share a moment.